Mr Nicholas is a devastating study of the domestic horrors of English suburbia, personified by the Nicholas family and its snobbish patriarch, a petty tyrant whose greatest pleasure is to sip gin while bullying and arguing with his beleaguered wife and three sons, ‘intellectual, ineffectual’ Peter, rebellious Owen, and young David, whose relationship with a retired Army captain threatens to bring scandal on the family. With wry humour and surgically precise prose, Thomas Hinde paints an unforgettable portrait of an everyday monster, a character who is both contemptible and curiously sympathetic. Thomas Hinde (1926-2014) burst onto the literary scene at age 26 with his first novel, Mr Nicholas (1952), which was widely acclaimed on both sides of the Atlantic and hailed as one of the finest English novels of its day. This new edition, the first in over 35 years, includes a new introduction by Alice Ferrebe and a reproduction of the original jacket art by Peter Curl. 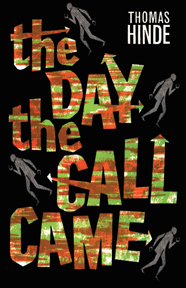 Hinde’s classic thriller of suburban paranoia, The Day the Call Came (1964), is also available from Valancourt. His first novel, Mr. Nicholas, appeared in 1952 to great critical acclaim. The influential critic Kenneth Allsop called it ‘one of the few really distinguished post-war novels’, and it was widely praised in both England and America. Other successes followed and secured Hinde’s reputation as one of the most gifted English novelists of his generation; some of the best are Ninety Double Martinis (1963), The Day the Call Came (1964), and Games of Chance (1965), the latter comprising two novellas, ‘The Interviewer’ and ‘The Investigator’. High (1968), a novel set on a college campus, drew on Hinde’s experiences teaching at the University of Illinois from 1965 to 1967. Four further novels appeared in the 1970s, followed by Daymare in 1980, and, after a twenty-six-year gap, In Time of Plague (2006). 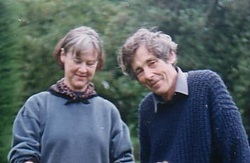 Hinde has also published more than a dozen nonfiction books, including biographies, history, and travel books, sometimes written with his wife, Susan Chitty. He passed away in 2014.